The recipient of my little pay it forward goodie basket from last week's Holla Hump Day post is Patty! Congratulations Patty. Here are a few of my recent favorite things in case anyone is curious. Thank you to those of you who gave a shout out. I hope you continue to do it and jump on the holla hump day train with me. 1. Essie's Smokin Hot nail polish. I saw it on Pinterest, of course, and had to run out and buy it. 2. Burt's Bees Replenishing Lip Balm with Pomegranate Oil. This definitely isn't a "new" favorite, but more of a rediscovered favorite. My favorite part about this lip balm is that it has a small amount of tint to it. I don't do lipstick or even lip gloss because it dries out my lips so much. This balm is perfect! 3. 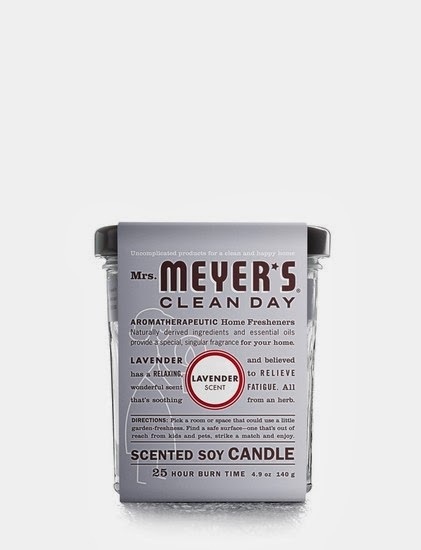 Mrs. Meyer's Lavender Scented Soy candle. I recently purchased a housewarming gift and got one of these on a whim. I then went and bought myself one for my new office in a closet I'm putting together, and I love it. 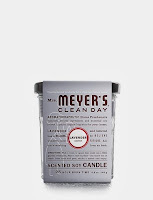 Of course, all things Mrs. Meyer's are pretty fabulous. 4. You're So Very Lovely greeting cards from Urban Outfitters. This would be the perfect card to send to anyone and everyone. This is my way of helping you to find a way to brighten someone else's day. Congratulations again to Patty and happy paying it forward!